The Valley's Coolest Place For Fun! 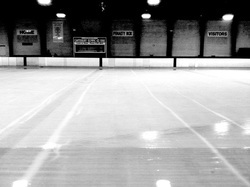 Late Night Public Skate - Fri & Sat nights 8-11pm for late night fun! Drop-In Hockey - Sessions available for both youth and adults. These are casual scrimmages open to all ages and abilities. Full gear is required! No sign-up needed for youth sessions. Stick & Puck - Stick time for all ages and abilities. Full gear is encouraged but helmet and gloves are required! Check the Ice Schedule for current session times. organization dedicated to providing youth ice hockey and skating opportunities to the LC Valley. LC Lightning Youth Hockey - The season typically starts at the end of October or first of November and runs until mid March. Players must register online with USA Hockey and LCAHA. For more information, please visit www.lcaha.org. New Mite & Jr. Mite Hockey - No experience necessary. This reduced cost program is for brand new, never before Mite level players (8 and under) and returning Jr Mite level players (ages 4-6). Players do not need to know how to skate yet, although Learn To Skate Classes are a perfect introduction to our youth hockey programs. Please visit www.lcaha.org for additional information and to register online. Clearwater Classic Youth Tournaments - LCAHA hosts at least 4 youth tournaments a year to visiting hockey enthusiasts from all over the Northwest. Tournaments are always free to watch and tons of fun! Adult League Hockey - Any individual 18 and over from beginning to advanced players are welcome to signup. Contact LC Ice Arena for information and current registration cost. Goalies are always free. Adult Fundraiser Tournaments - At least 2 adult fundraiser tournaments are also hosted annually. Each Fall, LC Ice Arena kicks off the hockey season with Hocktoberfest and closes it out with Spring Thaw each March or April. Admission is always free so come check out the local hockey action! 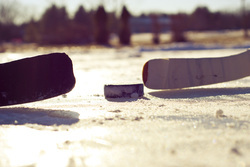 Try Hockey for FREE Day - This event is held twice a year in the Fall and Spring. On November 10, 2018, USA Hockey and over 500 local programs across the country will encourage kids, ages 4 to 9, to come to a local participating rink and try youth hockey. Please visit www.tryhockeyforfree.com for more information and to register. USA Hockey Officiating Seminar - Interested in becoming a hockey official? Don't miss this annual seminar held each September. Visit USA Hockey Officiating for more info and register at www.usahockey.com. 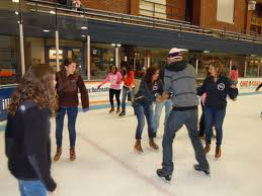 You and your guests will enjoy the ice all to yourselves for your activity or celebration. Please call (208) 798-7845 for more information. Broomball is a recreational ice game that has similar rules to hockey, but is played in shoes rather than skates. Players use brooms to hit a small rubber ball down the ice. No experience necessary, but expect to have a blast! ﻿Copyright 2014 LC Ice Arena and LCAHA. All rights reserved unless otherwise noted.﻿ WSUH logo property of WSUH. HCH logo property of HCH.